Colonial has the products to assist in a more efficient and reliable surgery suite. 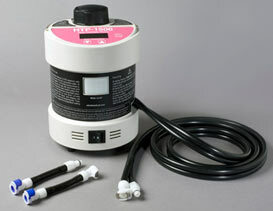 Using simple Pressure Swing Adsorption (PSA) technology and a molecular sieve, the unit draws in room air, compresses it, and passes it through a series of filters. Nitrogen is stripped out of the airstream and held by the sieve, while O2 and other gasses are passed to a holding cell. The pressure is released from the sieve and Nitrogen is released back out to atmosphere by virtue of the lack of pressure. This process is repeated over and over by two separate sieves working in alternation to keep a high concentration of O2 ready for use at all times. 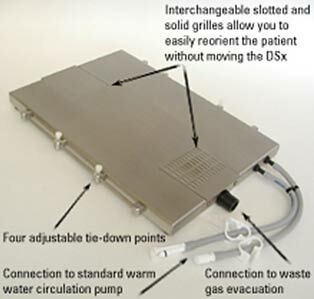 DSx Warmed Surgery Table: A heated procedure surface with downdraft anesthetic gas evacuation. 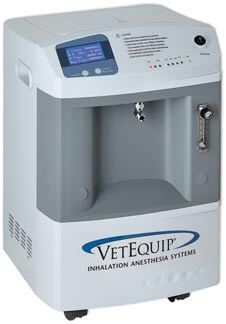 Water circulating pump effectively warms animals to assist in body temperature maintenance during surgery, in recovery and in critical care. Connects to the Hallowell Hardpads. Durable polycarbonate construction. Claw, bite, scalpel, needle, and towel clamp proof. Smooth Surfaces are easy to clean helping to prevent infection.